For those of you who do not know what Sonic Boom is here is a short definition. Sonic Boom is a kind of shock wave or sound that is produced when an object or aircraft surpasses the speed of sound. NASA says that the future line of aircrafts especially the NASA X-plane will have these features. NASA has signed a contract with Lockheed Martin for $247.5 Million to start building and designing these future aircraft. According to NASA, these future aircraft will take their first flight somewhere in 2021. An interesting thing I came to know about this aircraft was that it will produce the sound of a closing car door. And this all will happen at a speed of 1560km/h over an altitude of 55,000 feet above the earth surface. Furthermore, NASA will do multiple test flights in the year 2022 across different cities US. From the video I saw on YouTube, the NASA X-plane has an elongated nose with supporting small wings in front of the cockpit. Moreover, the cabin has 2 high angle delta wings to lift the plane. Now the aircraft that can travel at supersonic speed will halve the time required to travel other countries. It will create more jobs and revolutionize the aircraft industry. Finally, there is no plane at the moment that can provide supersonic travel and silent flight. If everything goes well with NASA X-plane development, then aviation authorities will have to accept this change. 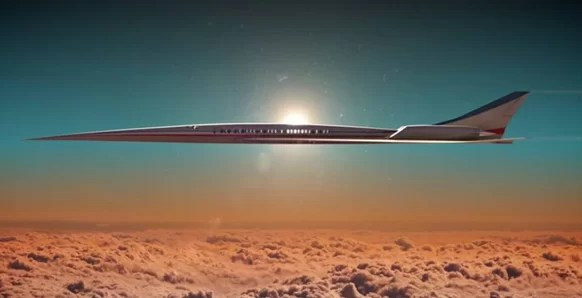 However, NASA alone is not on the list of taking passengers a flight to supersonic level, Spike Aerospace and Virgin Galactic are also working hard to make it happen.